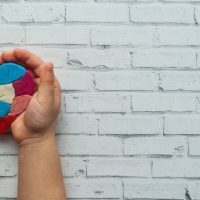 Did you know the number of children diagnosed with an autism spectrum disorder has increased 123-percent over the past decade? Along with a rise in prevalence has come a welcome upsurge in providers of autism-related services, including a growing number of attractions that have made admirable efforts to extend a warm welcome to guests with sensory and social differences. From quiet rooms with teepee forts, fidget toys and weighted blankets to extra safety measures and supports for kids with special interests, these awesome autism friendly theme parks provide a host of thoughtful amenities designed to welcome special kids and families. 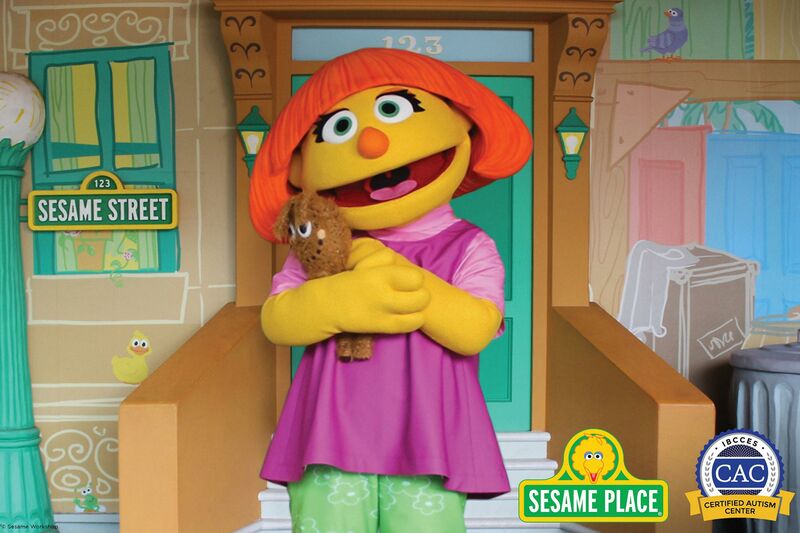 Kids can meet up with Elmo’s friend Julia at Sesame Place, the world’s first Certified Autism Center. The four-year-old Sesame Street female character with autism shows us that kids with social differences have unique qualities to celebrate, and when they receive the supports they need, they can get in on the fun! The Park’s “Special Access Pass,” available at the welcome center, allows guests unable to wait in line quick access to six dry rides and three wet rides, along with three accompanying family members. For kids who need their own space to be successful, Low Sensory Park and Parade Viewing Areas, two quiet rooms and a Stroller as Wheelchair pass are available. Special character dining experiences (additional cost) give kids who can’t wait in line one-on-one time with their favorite Sesame Street friends. Before you go, download the park’s special Sensory Guide, which provides information on each ride and attraction specific to challenges children with autism may experience. Recommended Hotel: Just steps from Sesame Place via a private walkway, Official Partner Hotel SpringHill Suites Philadelphia Langhorne offers free breakfast, free parking, an indoor pool and a seasonal playroom. 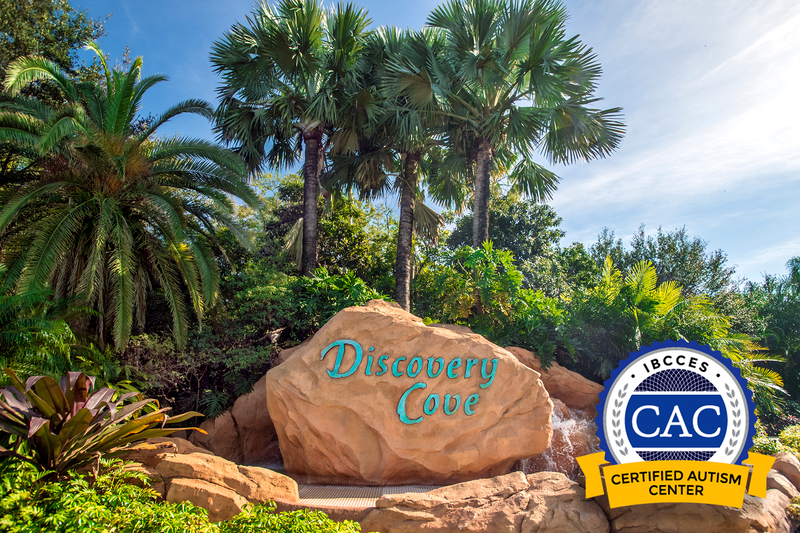 In 2019, Discovery Cove, Orlando—SeaWorld’s tropically landscaped all-inclusive theme park—became a Certified Autism Center, adding to its guest services accommodations for individuals with sensory and social differences. Now, guests with autism spectrum disorder can visit the tranquil oasis and experience success, thanks to an array of thoughtful supports. Before their visit, guests and their family members can review a detailed “Sensory Guide,” which provides a preview of attractions and experiences, ranked from 1 to 10 in intensity in five sensory categories. Once at the park, specially trained staff, a quiet space and visual supports posted throughout help special guests and their families feel comfortable and welcome. Discovery Cove is a limited attendance theme park—with a daily limit of 1,000 guests. For more privacy and even more elbow room at attractions, schedule early experiences and plan to arrive first thing in the morning. Allergen-friendly meals are available with advance notice. Recommended Hotel: The SpringHill Suites Orlando at SeaWorld offers complimentary breakfast, an outdoor activity pool, and shuttle service to SeaWorld Orlando. For visitors unable to wait in line for extended times, including those with autism, Disney World offers a special Disability Access Service pass, which allows pass holders to avoid the line, returning at the same time indicated in the current attractions cue. Disney’s Strollers as Wheelchairs program adds a special safety measure for kids prone to wandering—or who need a safe, sensory-friendly haven. This service permits qualifying children to remain in their strollers while on a ride or while visiting an attraction—just as a guest in a wheelchair would. A number of additional programs and supports, such as Rider Switch and Quiet Areas, are available to the general public, but are especially helpful for families traveling with a member on the spectrum. Before you go, download the park’s visual guide, designed specifically for guests with autism. Recommended Hotel: Autism on the Seas offers a Disney Resort Stay program, which is primarily located at Disney’s Coronado Springs Resort, a Moderate category resort. Program services include one-on-one resort pool and meal supervision, evening respite for parents and optional theme park touring assistance. LEGOLAND Florida Resort really rolls out the red carpet for guests with autism, with a gold-star lineup of services including designated quiet rooms, free sensory supports, social stories and a no-wait “Blue Hero Pass” program. The Blue Hero Pass, available at the park’s Guest Services department, enables a child with autism and his or her accompanying family members to enjoy immediate boarding on the first ride of the day, then bypass the standby lines on subsequent rides. When kids need a break, they can retreat to quiet rooms, which are equipped with sensory tools such as noise-cancelling headphones, weighted blankets, fidget toys and LEGO building tables. Recommended Hotel: LEGOLAND Beach Retreat, which features a quiet atmosphere, feature themed accommodations and early entry access to LEGOLAND. 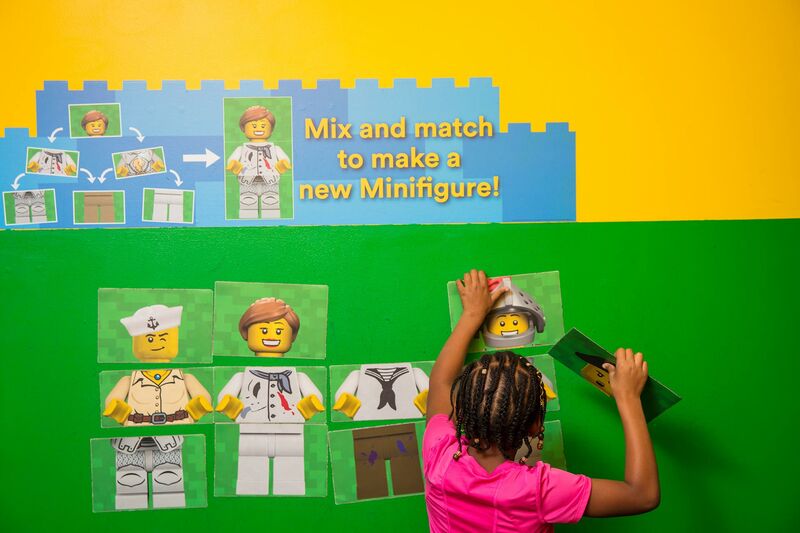 LEGOLAND Florida Resort and Spectrum Travel offer online videos to help families prepare for a LEGOLAND Hotel and theme park visit, covering topics such as hotel sleeping arrangements, riding the famous disco elevator at LEGOLAND Florida Hotel and LEGO mini-figure trading. 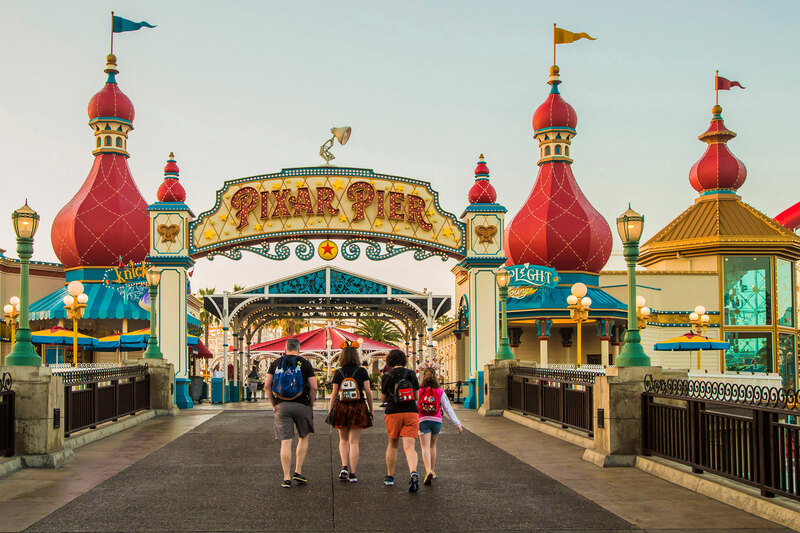 For visitors unable to wait in line for extended times, including those with autism, Disneyland offers a special Disability Access Service pass, which allows pass holders to avoid the line, returning at the same time indicated in the current attractions cue. 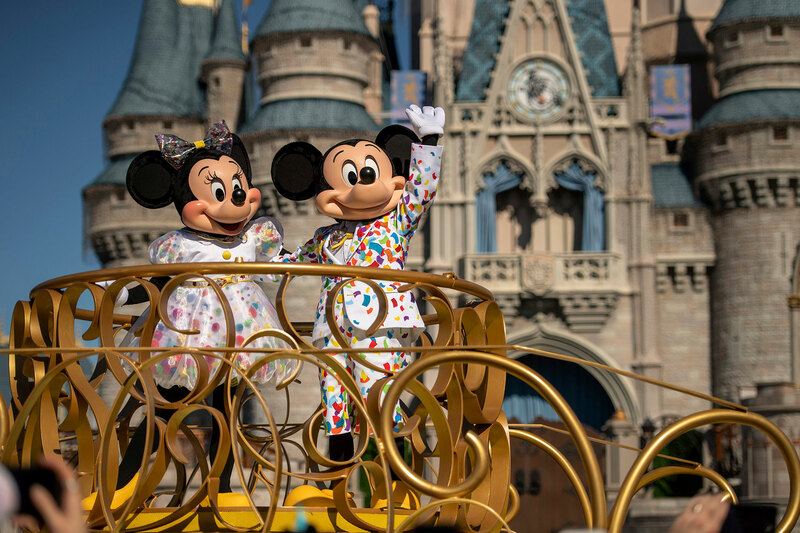 Disney’s Strollers as wheelchairs program adds a special safety measure for kids prone to wandering—or who need a safe, sensory-friendly haven. This service permits qualifying children to remain in their strollers while on a ride or while visiting an attraction—just as a guest in a wheelchair would. A number of additional programs and supports, such as Rider Switch and Quiet Areas, are available to the general public, but are especially helpful for families traveling with a member on the spectrum. Before you go, download the park’s visual guide, designed specifically for guests with autism. Recommended Hotel: Offering Extra Magic Hours perks, easy access to Disneyland and Disney’s California Adventure via monorail and foot path and onsite character dining, Disneyland Hotel, Disney’s Grand California Hotel Resort and Disney’s Paradise Pier Hotel are ideal home bases for a Disneyland vacation. Free admission for guests with special needs is just one of the awesome services offered by Morgan’s Wonderland, the world’s first fully accessible family theme park and water park. Set on 25 acres in San Antonio, Texas, the inclusive park breaks down barriers for guests with a variety of special needs, including cerebral palsy; cognitive, hearing and vision impairments; and autism. In fact, nearly one-third of students attending the adjacent Academy at Morgan’s Wonderland, a school for children ages 12 to 24 with special needs, are on the autism spectrum, and attend physical education classes right at the park! The park’s Joy Fast Pass allows children with autism no-wait one-time access to four major park rides, along with three accompanying family members. Each park guest is issued a GPS Adventure Band upon admission, which lends an additional measure of safety via tracking technology. Recommended Hotel: Centrally located near Morgan’s Wonderland, the Riverwalk and the San Antonio International Airport, Partner Hotel Hyatt Place San Antonio Airport features free breakfast, free parking, free airport shuttle service and complimentary property-wide Wi-Fi. 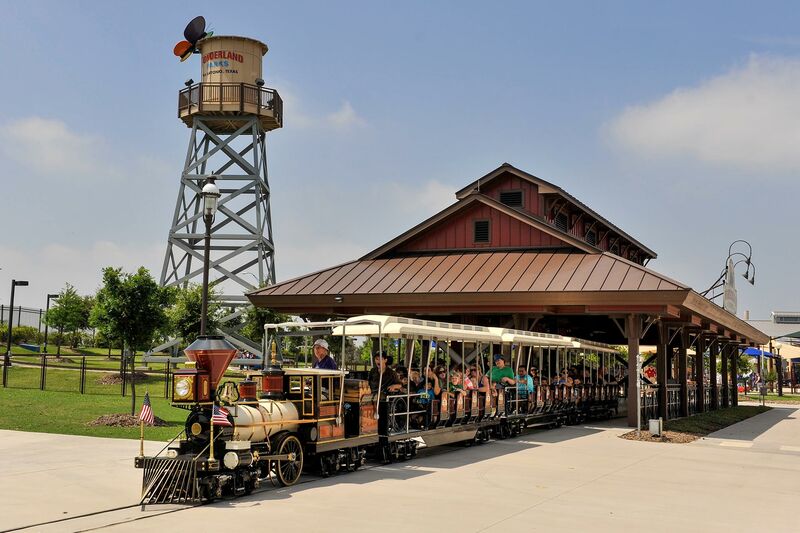 Trains are a common special interest of many children on the spectrum, and for Thomas the Tank enthusiasts, Edaville Family Theme Park, a small family theme park located an hour outside Boston, is a train-lover’s paradise. Opened in 2015, Thomas Land, a dedicated area of the theme park designed just for fans of the famous fictional steam locomotive character, features 11 rides inspired by popular Thomas & Friends characters. Kids with noise sensitivity can ride in a special Quiet Car on the park’s 20-minute train ride. A train car transformed into a quiet room is equipped with weighted blankets and puzzles, and a restroom with quiet-flush toilets and manual hand dryers accommodate sensitive kids. Edaville sponsor an annual Autism Awareness Weekend, typically held the last weekend in April. Besides Thomas Land, families can explore two additional park lands—including Cran Central and Dino Land. Recommended Hotel: The closest hotel to the park, TownePlace Suites Wareham Buzzards Bay features free breakfast, an indoor pool and family-friendly accommodations with kitchenettes. Wholesome family entertainment is the hallmark of this Smoky Mountain, Tennessee, theme park, and thanks to some special supports, the whole family, including members on the spectrum, can truly have fun. 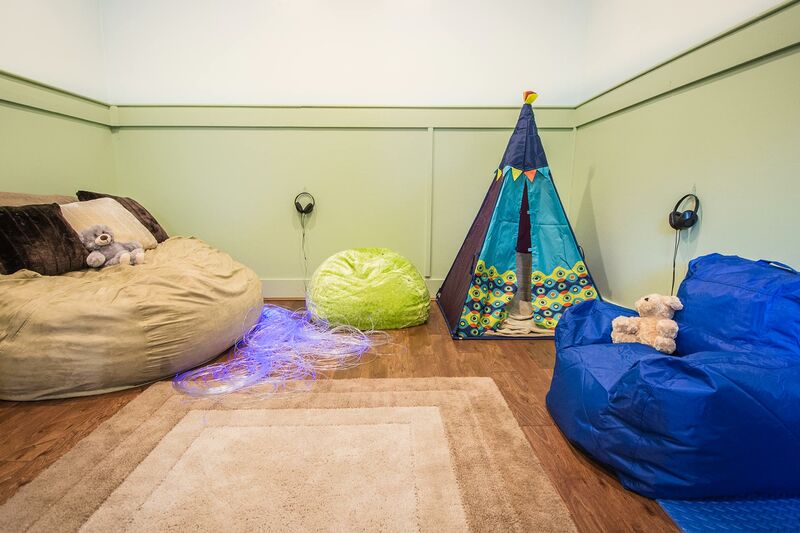 Dollywood‘s Calming Room is a sensory safe haven, with beanbag chairs, a weighted blanket, a teepee and fiber optic lights to help special needs guests rest and refresh. A Walkthrough Guide social story, available on the park’s website, gives guests a visual preview of park experiences and expectations. To help make the experience a success, guests with autism can obtain a Boarding Pass at the Ride Accessibility Card, which enables holders to avoid the line by receiving a return time equal to the current queue wait. A maximum of five guests may accompany the pass holder. 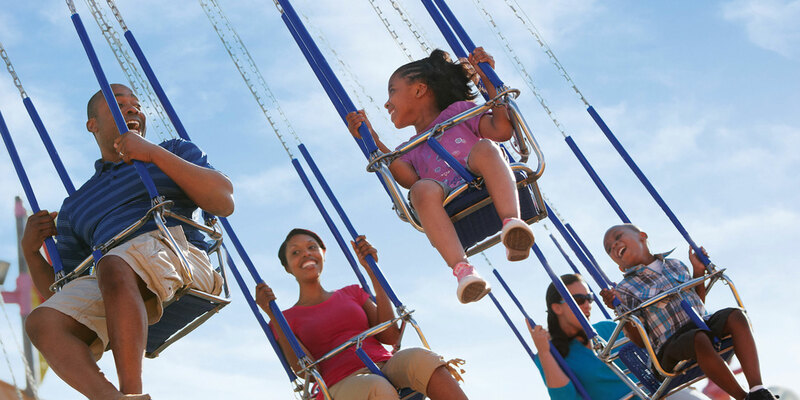 For all guests, Dollywood offers convenient Family Restrooms and a Parent Swap ride program. Before you go, be sure to download the Dollywood app, which features attraction details, daily show schedules, customized maps and live ride wait times. Recommended Hotel: Adjacent to the park, Dollywood’s DreamMore Resort & Spa features free theme park shuttle service, onsite entertainment and accommodations in a variety of family-friendly configurations, including family suites with bunk beds. Cedar Point is known as the Roller Coaster Capital of the World, and for some kids on the spectrum, that’s a major thrill. Cedar Point’s Ride Boarding Pass Program enables guests with autism to experience the park’s 18 coasters and other rides by bypassing the standard queue, and returning, after a set waiting time, to board via a special entrance. Three additional guests may accompany a participating pass holder at each attraction. Cedar Park also features three kids’ areas, live entertainment and Dinosaurs Alive (additional entry fee)—an interactive animatronic adventure sure to delight any aspiring animal expert. A Parent Swap ride program, Family Care Centers and Kid Track safety service add comfort and security for all families. Download the park’s mobile app for easy reference to ride wait times, directions, events and attractions accessibility. Recommended Hotel: Adjacent to the park, Cedar Point’s Hotel Breakers features early theme park access, a lifeguarded sandy beachfront and onsite entertainment. Lodging options include family suites and concierge level accommodations, the latter with access to a private lounge featuring several daily kid-friendly food and beverage presentations. 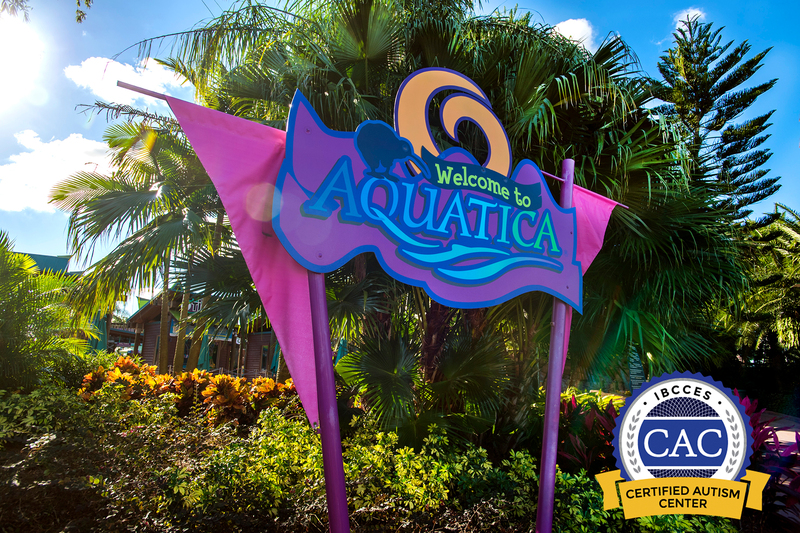 In 2019, Aquatica, SeaWorld Orlando’s aquatic playground, become the world’s first water park designated as a certified autism center, rolling out the red carpet for differently abled guests and their family members. In addition to specially trained staff and a detailed “Park Sensory Guide” alerting visitors to sensory experiences specific to each ride and attraction, Aquatica Orlando offers Ride Assistance Program (RAP) wristbands for guests unable to wait in line. The wristbands, available through Guest Services, enable individuals with autism the ability to enter rides at the Quick Queue entrance. A multipurpose Quiet Room, available on a first-come, first-served basis, offers respite for guests that need a break, as well as nursing mothers. Aquatica Orlando also offers allergen-friendly foods and private cabana rentals to all guests—the latter a great way to help pave the way for an au-some day. Recommended Hotel: The Doubletree by Hilton Orlando at SeaWorld caters to families with three pools, mini-golf, a kids’ club, and shuttle service to SeaWorld Orlando. The only theme park located within a shopping mall, Nickelodeon Universe is a 7-acre indoor theme park with 27 rides and attractions—and surprisingly, it’s also autism-friendly! 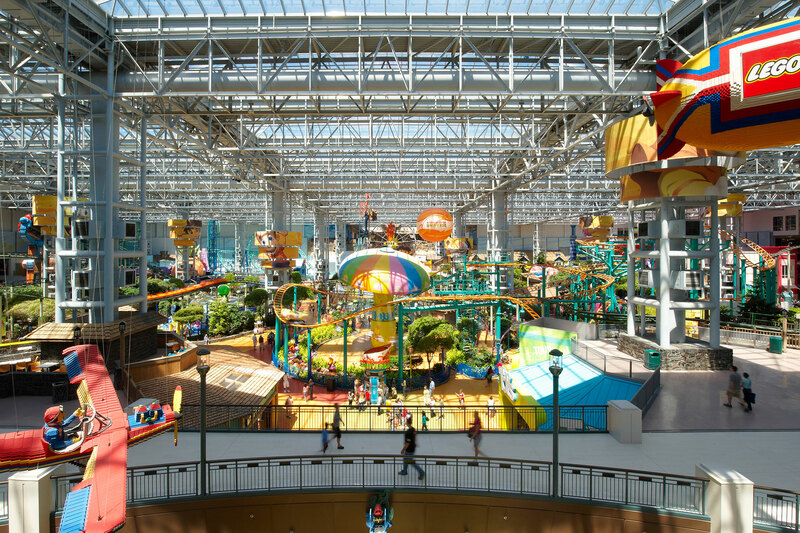 In 2019, both Nickelodeon Universe and the Mall of America (the world’s largest shopping mall) earned designation as “Certified Autism Centers” by the International Board of Credentialing and Continuing Education Standards. In order to receive the designation, at least 80-percent of staff were trained in understanding the specific needs of and providing services to individuals with autism spectrum disorder. To support guests with autism, Nickelodeon Universe also offers a “Sensory Guide,” providing detailed information about the sights, sounds, smells and other sensory experiences related to each theme park ride. Recommended Hotel: The Radisson Blu Mall of America offers a kids’ club, indoor pool, and packages that include admission to Nickelodeon Universe.